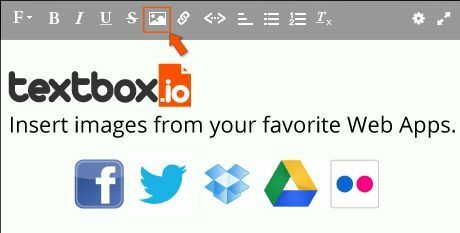 You can now add images from all your favorite web services right in Textbox.io. Pick your images from Facebook, Dropbox, Google Drive, Picasa and Flickr, to name a few. Or if you prefer, upload images you’ve got right on your computer. Trust us – there are quite a few options! 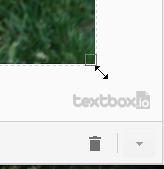 Once you’ve added an image, you can click-and-drag to resize it right within the editor. No photoshop required! 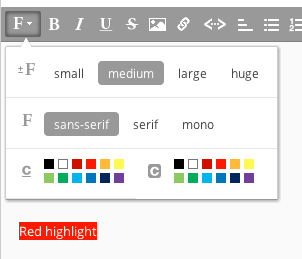 Not everybody wants their text on a white background, and for those that don’t we’ve added support for font-highlight. That’s it for now. As always: do let us know how you’re using Textbox.io!